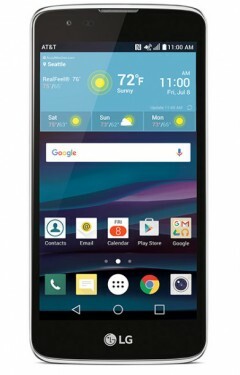 Cricket Wireless recently added HD Voice to its service offering. HD Voice, which requires both the caller and receiver to have compatible devices connected to Cricket's LTE network, delivers significantly improved voice clarity. HD Voice reduces background noise and permits people to talk and browse at the same time while on LTE 4G. The list of compatible handsets is rather limited at launch. The four devices that support HD Voice include the Alcatel Idol 4, LG Escape 3, Samsung Galaxy Sol 2, and the ZTE Grand X 4 — all of which need to be updated to most recent software build. The company didn't indicate if or when new phones will gain access to HD Voice. Cricket says HD Voice may not be available when the network is congested. HD Voice is free for Cricket customers to access and use. AT&T today announced that its GoPhone prepaid customers can buy one eligible phone and receive a second for free. The buy one, get one deal goes into effect July 22 and includes phones such as the Samsung Galaxy Express Prime or LG Phoenix 2. The handsets must each cost at least $59.99 in order to be eligible for the buy one, get one deal. Customers must activate both devices on either the $45 or $60 monthly GoPhone plan. The promotion runs through September 22. GoPhone does not require credit checks or contracts.